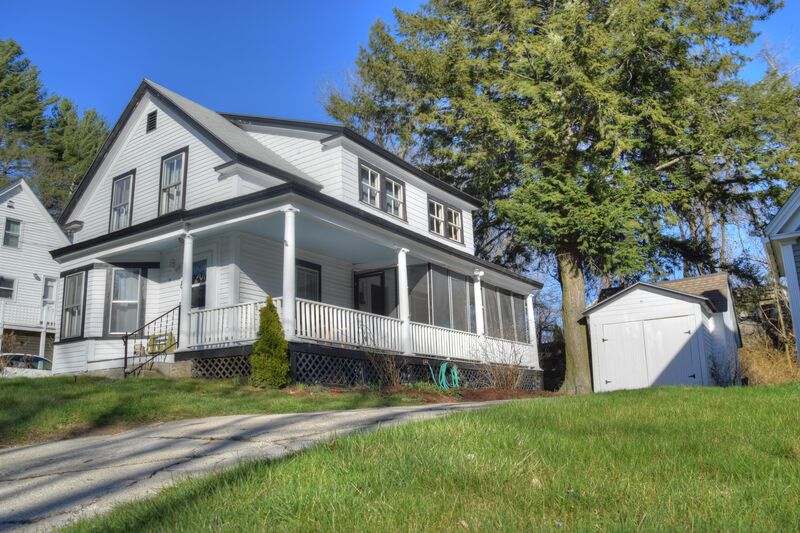 Adorable New Englander style home a short walk to Frog Pond conservation, school, and downtown Wilton. Remodeled kitchen with granite counters and hickory cabinets; living room with large bay window, second-floor laundry, newly finished room on second floor could be a home office or small additional bedroom. Detached garage with power. Open front porch for easy conversations with neighbors, or dine out on the cozy screened porch that overlooks the private backyard.